As has the mountain of drugs, the over-the-top mansions and of course, Elvira. In her breakout role, Michelle Pfeiffer plays the wife of mafioso boss, Al Pacino, who she doesn't ever seem to be particularly taken by. Her vixen-y attitude is enhanced even further by these killer outfits. Elvira's looks are always on point — she even makes casual indifference, bridging on absolute boredom, look good. 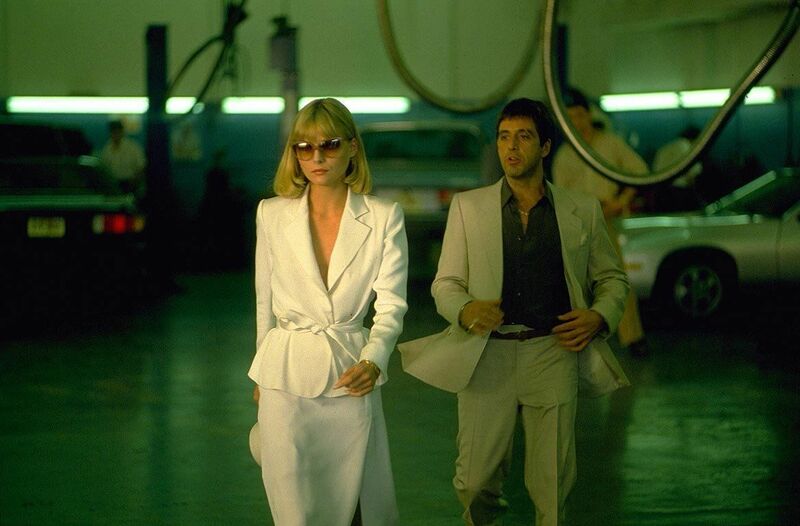 From deep cut satin dresses to all white suits topped with cat-eye glasses, she inspires true wardrobe envy. The groovy dance moves are mandatory.